﻿ You’re Never too Old to Find Love | Christiane Northrup, M.D. What is your most secret wish? You know, the one that makes you feel so vulnerable that you’re afraid to share it with anyone lest you be shamed or ridiculed or have your heart broken? Take a moment, let your answer just well up, and be with it. Because that secret wish—that heartfelt dream and desire—contains pure gold, if you’re willing to stick with the emotions that arise when you catch yourself believing that it will never come to pass. My secret wish has been my Libran desire to be “completed” by a man—someone who would rise up and be my knight and my life partner. That quest, dear reader, is what led me to write Goddesses Never Age: The Secret Prescription for Radiance, Vitality, and Well-Being. The phrase “Goddesses Never Age” was first uttered by my good friend and colleague Dr. Doris E. Cohen (author of Repetition: Past Lives, Life, and Rebirth), during a reading I had with her several years ago. At the time, I was worried that I was too old to find love, that it was too late for me. That phrase “Goddesses Never Age” was my assurance that the Divine feminine energy present within all women is eternally youthful, beautiful, and desirable. I began to understand that when we have the courage to access it, we can tap into the wellspring of the true Fountain of Youth. And this could keep us forever young, regardless of chronologic age or how long we live. Having a long life just for the sake of living a long time holds little or no meaning for me. When Doris and her guides first said “Goddesses Never Age,” I was hopeful, but also skeptical. At the time I, like so many of you, still believed the cultural programming that women hear, like “all the good men are taken” and “men my age want a woman who is 20 years younger.” Still—I had a burning desire to prove these ideas wrong, especially the meme “it’s all downhill after 50.” And so I set out on a quest to live my life as an ageless goddess. And that meant offering every bit of grief and loneliness to the Divine. Surrendering to God (or Goddess, the Universe, Source, take your pick) over and over again. Since then, I have discovered that Doris was right. When you have the courage to tap into the Goddess energy within yourself, you become ageless. And you also stop waiting to live your life. Since this new understanding, I have learned to dance Argentine tango, including surrendering to the luscious lead of many male dance partners. I also went to Paris for the first time this past year. And am planning a trip to England to visit the sacred sites of Glastonbury and Avebury (including the crop circles there), something I’ve always desired. Physically, I am taller and more flexible than I was 20 years ago. I sleep better than I have since childhood. And—most importantly—all those qualities that I’ve always been looking for in a man I have developed within myself. I even started a new company last year—and raised the capital myself. Up until very recently, I was certain that I had to find the right man to do this for me. Instead I discovered that I could trust myself and what I know, and then use it in partnership with the men who assist with my business. So—drumroll please—I no longer have that deep dark hole of yearning and heartbreak as a constant gnawing backdrop in my life. And now I am certain that this has been the whole purpose of my journey: to become whole, complete, and lacking in nothing (called The Pearl of Great Price in some traditions). I also know that I have prevented an inevitable heart attack with the work I have done—even though cardiovascular disease “runs in my family” it doesn’t run in me anymore. Regardless of your own situation, I can assure you that the journey of following your deepest desires—of letting your heart lead you—is worth everything. It’s the key to health, vibrancy, and joy today and at every age. To access the ageless goddess within you, you must first bring your cultural programming about age to consciousness—knowing that your beliefs are more potent than your genes. And then you must begin to live differently, fueled by new, vibrant, exciting ideas of where life and your soul are capable of leading you. I am so very excited for you to join me in this incredible movement toward freedom and joy and ageless living. That is exactly what Goddesses Never Age will inspire you to do. Wow! Thanks SO much for leading a new way for women. Even those of us, who have walked a path less travelled still come across the societal ideas about age. The worst family members, unable to embrace the freedom I have felt within and without, saying I’ve got to look and act your age. I absolutely loved your leather pants comment on Oprah. I remember my nana saying she still felt 25 inside, this is when she was 75. Advice/guidance needed in how to deal with spouse/husband (78) now in full dementia…visiting him..dealing with the sadness and finding a way to continue with LIFE. Cannot find anything on this from Dr. Northrup’s new book…surely she has some wisdom on this for those of us being so challenged. Good points Dr. Northrup! Instead of “How old are you” why does no one ask “How young are you?” ?? or How Young do you feel?! I always think of you as Christiane, a very wise friend, rather than a “white coat” pontificating what you learned from “the book”. I’ve counted on you for insight, humor, courage and guidance for a very long time and you’ve never let me down. I’ve been divorced for almost 5 years. Every day I am learning how much fun I am, how strong I am, and how wise I am. Developing all of my abilities is much more appealing than “hunting for a man” to complete me. 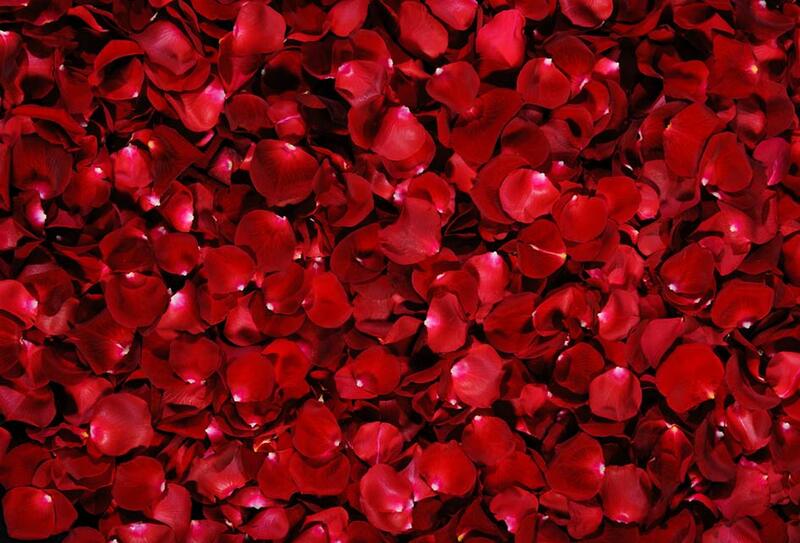 If an equal comes along who wants to be a true companion – awesome. I know I can have, and am having, an amazing life as a single. Can hardly wait for your latest book to arrive to add even more “juiciness” to the journey! 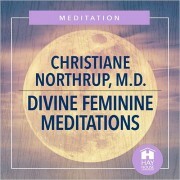 Just ordered your soon-to-be -released book and free gifts as an early birthday present for myself (I turn 55 April 28).I am single – never married and I just asked my guides/angels not more then an hour ago for assistance in my journey as a woman and having divine love in my life! I asked for my heart’s desire of being able to receive and be gifted with the connection of authentic love in all aspects of my life – To receive divine love from all areas of my life. And ta-dah up pops up your blog on Facebook “Goddesses Never Age: You’re Never too Old to Find Love” as a post. Divine guidance and mentoring – great example of “spiritual magnetic attraction” at it’s finest for an open heart . Bless you….. This Canadian Goddess is grateful and ready to up her Goddess “cred”..Can’t wait until I get your book in March. What an inspiring article. I fell in love at age 15. After marrying another man and having my family, we divorced and i was 50. Believing that ‘my love’ was living a happy life, I starting living my life and found I was SO happy. Knowing that i would only ever love him, and he was happy, I could pursue my own life without the idea of ‘finding’ a man to share my life. I had a home, family, friends, a job I loved and an inner sense of peace. I will always be thankful for that time for helping me to become the woman I am inside…….yes there is another part to the story. Once i became the ‘me’ I always was inside, I married that man, I am now 60 and we have been married for almost 4 years. I learned that once you let your inner Goddess out and live the life you are meant to live, everything that is meant to be …falls into place. THANKS Dr. Northrup for your inspiring words! Bravo….They always say you have to become what you are looking for. You have done an amazing job of self perfection. You are my hero. i am so happy that you wrote this, I am very excited about your book, and look forward to reading it. Today, now this message you wrote was the affermation I so badly needed. I have been watching you for at least a couple of decades…I am in awe of the alchemical transformations of your life…you have turned trauma into gold. And, yes, you have never looked better. I agree, I am not get older, I am getting better…I am not a dog on the leash of any numbers, not my scale , not my bank account, not my age…I reinvent myself daily by following the breadcrumbs of joy through my days…and so are you. I am having the best decade of my life, here in my magnificent 50’s …I know it will always get better because it always has. I know that I can have anything…my rate limiting step is my imagination. Cheers to you, dearest Christiane…you are my friend. Thanks for joining me in rewriting the story of life. How are you taller? PIlates? I want to know. Two years away from 60 and I don’t want to lose height. Great the you’re more flexible. Also, so wonderful that all those qualities you were looking for in a mate, you’ve developed within yourself. Best friends are necessary in this life, whether they’re male or female. Thank you for the reminder – I am that Goddess who at 54 has lost everything materialist that I have worked hard for – All because of trying to fill the hole inside me by letting the wrong men/man into my life – always hoping for that one true love. That one true love is me!!! I am now rebuilding my life from the inside out. Picking myself up everyday to keep going and to keep believing in me. My hole is being filled with my own self love. It is a painful journey – but a necessary journey to wholeness. Thank you so much for this blog (very timely with all the Valentine’s Day messages we are being hit with). I came home last Friday night feeling tired after a long week at work and sad because I had no one to come home to. I received a home made Valentine from my beautiful 7 year old niece in the mail and it made me cry feeling so blessed to feel the love from her heart. I can’t wait to buy your new book as soon as it is available in Canada. Thank you for all that you do and for sharing your journey. 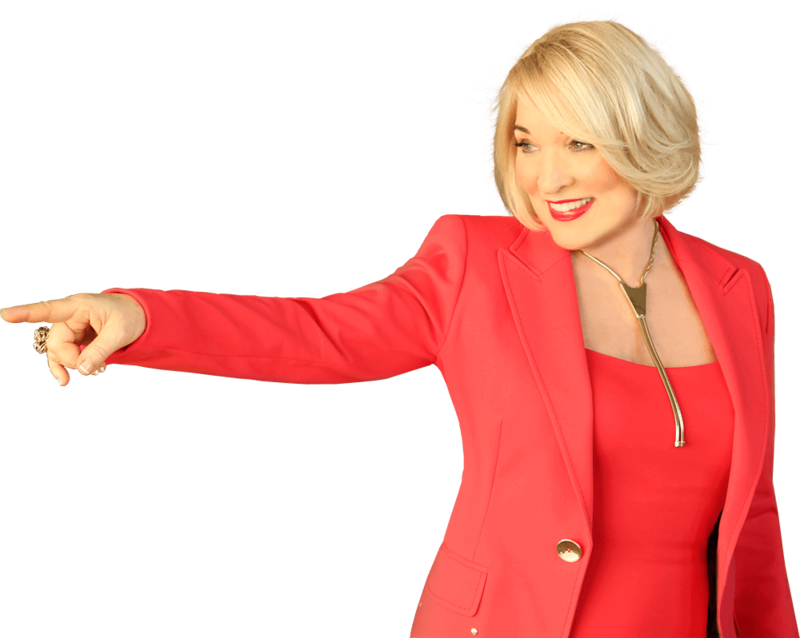 I absolutely LOVE everything about you…your inspiring and informative books, amazing health and happy life advice on HH Radio, and wonderful eternal goddess wisdom. You are so real and authentic and hope to meet you some day. Wondering if you will consider coming to Canada for an I Can Do It Conference?. I live in beautiful Nelson, BC so Vancouver is the closest for me. Dr Northrup I have followed your journey and growth for years and am so inspired with your path of personal success. Now I am in my early 60s and with yu as a role model have the tools and courage to make this time in my life the best….. I can’t thank yu enough! Grace and gratitude move through me in the wisdom and clarity of your beautiful words! My journey, in terms of relationship, has been identical to what you describe. Over the past 1 1/2 years I literally set out on a quest (took leave from my work, leased my home, moved and traveled, wrote a book) to divest myself of the programming that dictated my worth is more if I am in a partner relationship, that lurked in the background constantly reminding me that no matter what else I accomplish in my life I was sorely lacking if that one component was not realized. Thank you for your brilliant journey and your authenticity. The validation is such a gift, and a monumental contribution to men and women alike. What a grand reading for this morning and I know for sure that the spirit led me to read it as your secret desire is also mine but I also have started learning what you have learned. I can never put into words what your shared wisdom has done for me since the first time I saw you on public television when you had sort of grayish brownish curly hair. 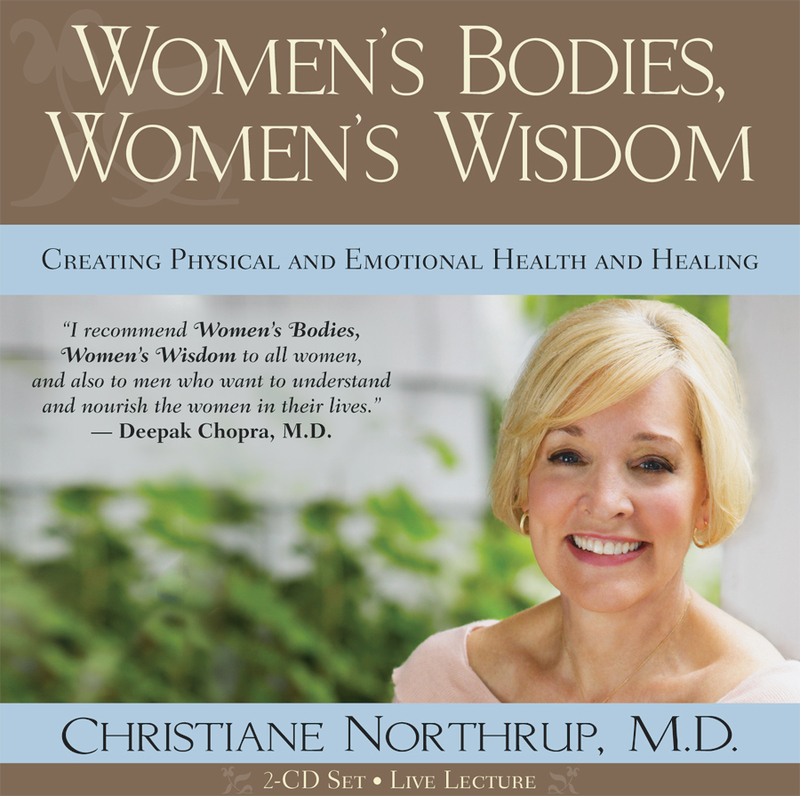 I bought women’s bodies women’s wisdom and I’ve been hooked ever since. Your daughter is so joyous and has the best laugh. Thank you both. And, I too am taller now but I haven’t danced the mango and after my journey this year I feel young and excited as if I have been born anew. Thanks so much for this article. I used to believe this as well (even in my thirties!) as I looked around and all the handsome men seemed to be with women who were size 0, twenty-somethings. Now that I’ve grown both spiritually and emotionally, I actually feel more empowered than I ever did and feel that there are no limits in life (other than the ones you create in my mind). I now know that this old idea I had about ‘needing’ a man in order to be ‘whole’ came from a lot of areas – my family (women who stay with men they seem to hate in order to not be alone), television (characters who seem to believe their happiness only comes alive when ‘the one’ is in their lives) and sadly, sometimes even myself when I thought happiness was a destination rather than a choice. 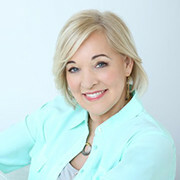 You are so inspiring, Dr Northrup and I reference your website all the time for great information and positivity. Thank you again. I agree! 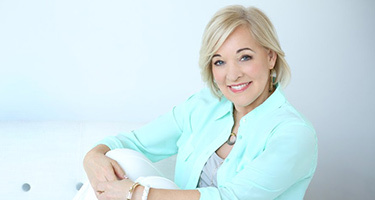 Dr. Northrup you are such an inspiration and great role model for those of us heading towards 50 and divorced. I’m still a little hung up on the need a man issue but maybe because my 3 year relationship just broke up which came right after a divorce. I don’t know if it’s NEED a man or just WANT my soul mate. Thanks for all you do for us?